The Bohème bed, your night-time companion providing exceptional sleeping comfort. 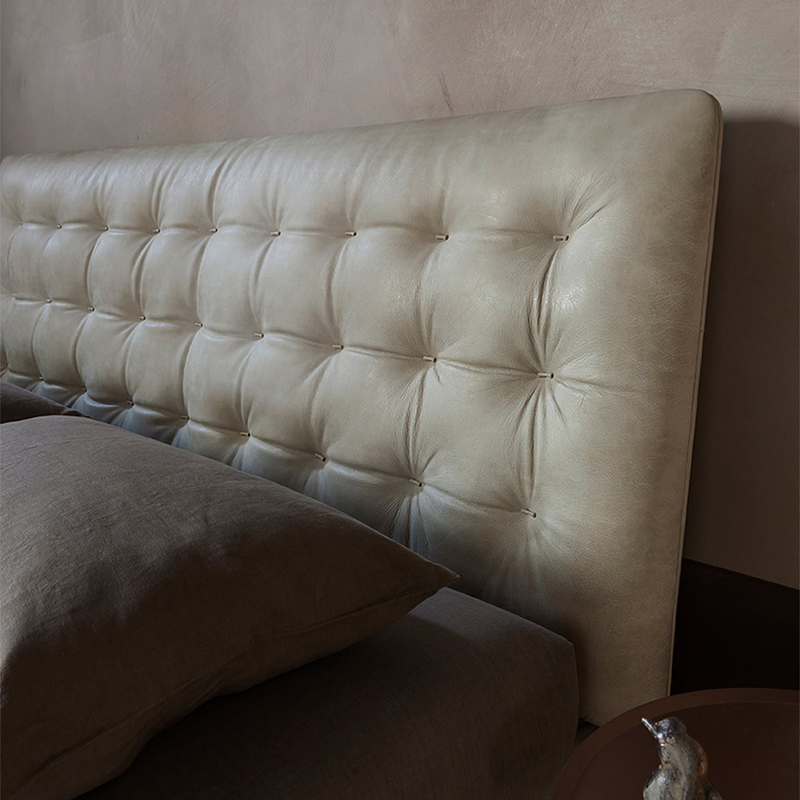 The stylish headboard is upholstered in fine leather with tufted stitching. True craftsmanship brings furniture collections to life, freed from the confines of fashion. W 71.3" x D 87.8" x H 41.7"
W 84.2" x D 89" x H 41.7"
W 67.3" x D 89" x H 41.7"
W 79.1" x D 87.8" x H 41.7"